Want to see what it’s like to cowork at Fuse? Now you can! 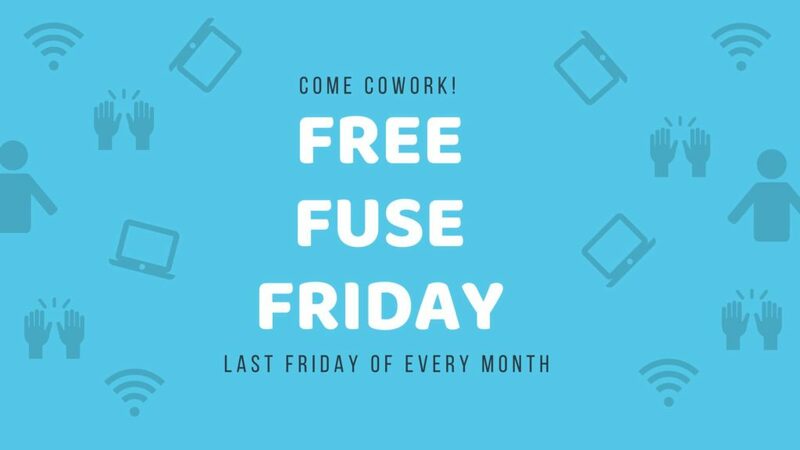 On the last Friday of every month, you can come work at Fuse during normal business hours from 8AM to 6PM. You’ll be able to use the space just like a member. Fiber internet, unlimited coffee, what more could you need?